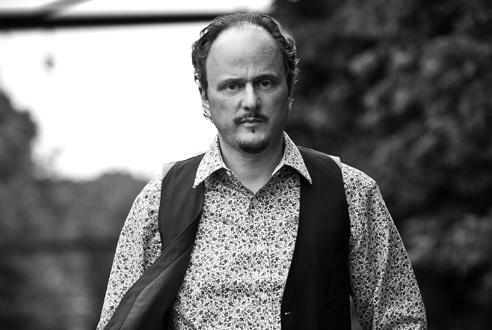 Literary Musings: Eugenides is coming to Boswell! I am definitely planning on attending this event. I'd put Eugenides in my top five authors I'd love to meet, so I feel really lucky that he is coming to Milwaukee and I am available to attend. Since I received an ARC of this one, it's a perfect opportunity to buy a hardback copy and get it signed. Boswell Book Company is located at 2559 N. Downer Avenue, Milwaukee WI 53211. In a somewhat related note, you know that vest that Eugenides was photographed in for a billboard in Times Square (pictured above). The one that is basically the wardrobe equivalent to Franzen's glasses? Well, you can follow it on Twitter now @EugenidesVest. How exciting! He's also doing an event near me in a couple of weeks. We'll have to compare notes! This made me search him, and he's coming to Chicago in four days, but A) I'm out of town, and B) Tickets are $30. Haven't read The Marriage Plot, but Middlesex is kind of objectively good. AWESOME! I loved that store when it used to be Harry W. Schwartz - I used to live a block from that store, and went to several readings there (JS Foer, Zadie Smith). Very exciting! I would love to personally go to a Eugenides event myself. I've only read one of his books, but I definitely want to read more! You make me want to read this so bad!!! But I bought Corrections first, damn it. Christopher, I am really enjoying The Night Circus. I am nearly finished and I can't wait to see how everything unravels. Madeleine, I can't wait to find out what happens! I think they will find a way to be together... or at least I hope. You're so lucky! I checked and he's definitely not coming to Indiana, boo. 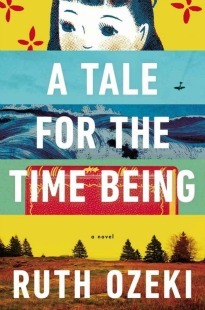 I finished the book while I was on vacation, so good. Thoughts coming soon!